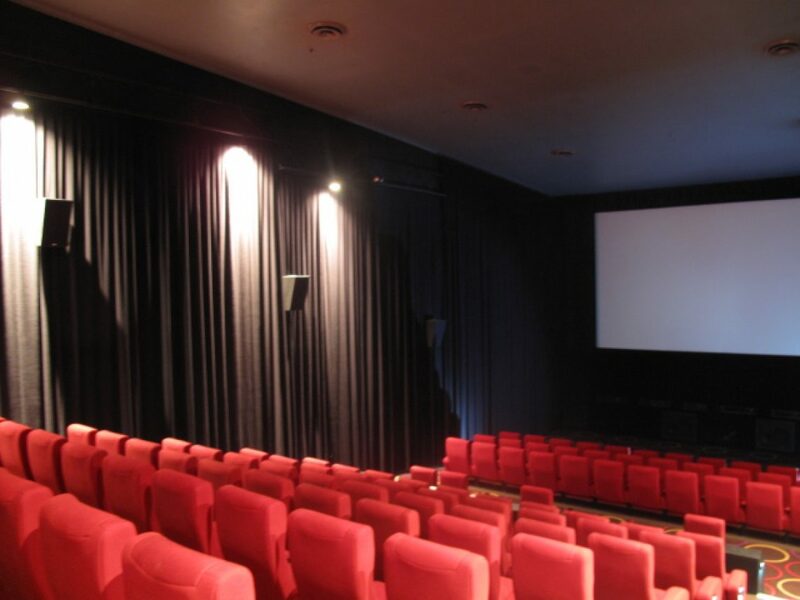 In mid-2011, Hoyts Charlestown completely refurbished their 20-year-old, six-screen complex at Charlestown, near Newcastle in New South Wales, Australia. 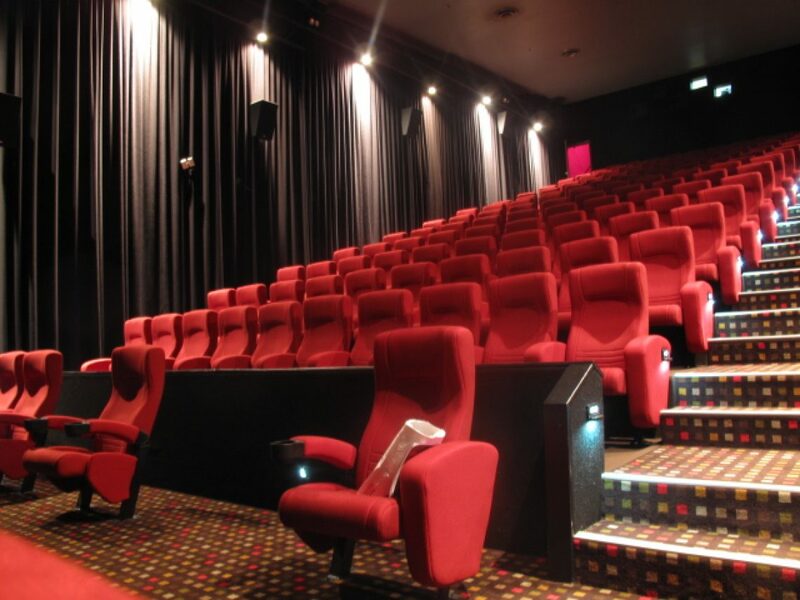 Specialty Group were proud to be associated with this project and assisted in transforming this much loved, but old and worn cinema, into a new and vibrant state-of-the-art cinema complex to rival any other cinema multiplex anywhere in Australia and the world. 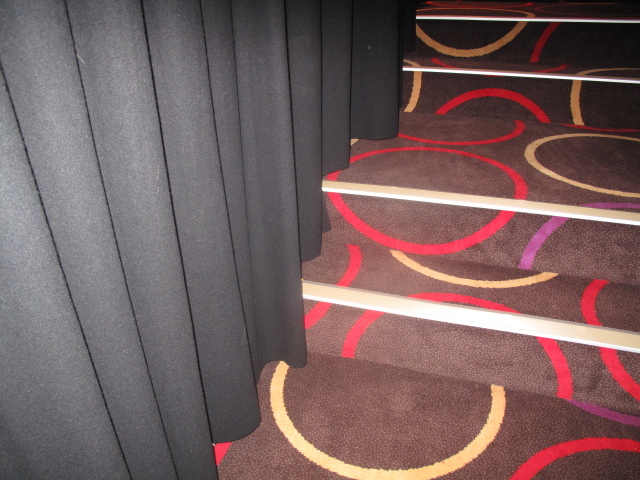 Specialty Cinema was able to make modifications to the existing screen frames and masking systems to prolong their life and ensure the masking system would not damage the screen surface in any way. 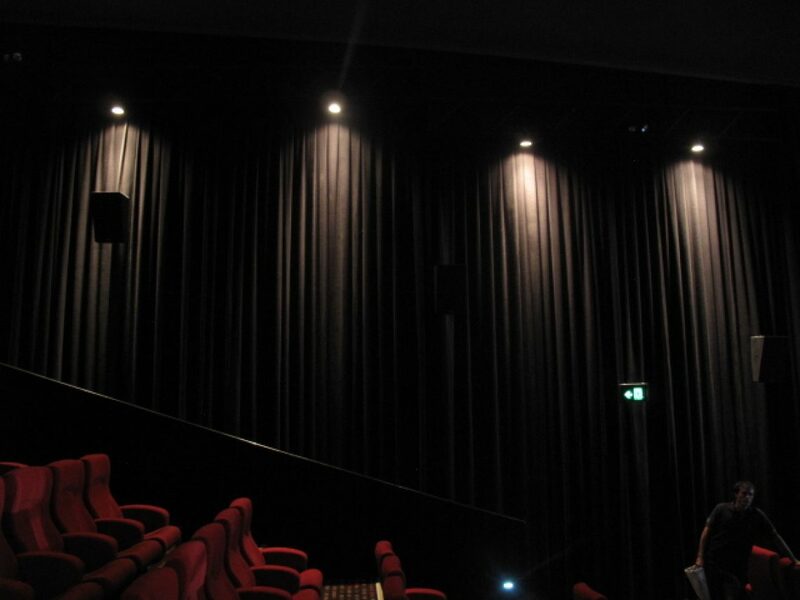 We manufactured and installed new wool acoustic wall curtains with 80% fullness, which look stunning, and gave the cinemas an amazing new look and feel adding warmth and ambiance to the auditoriums. 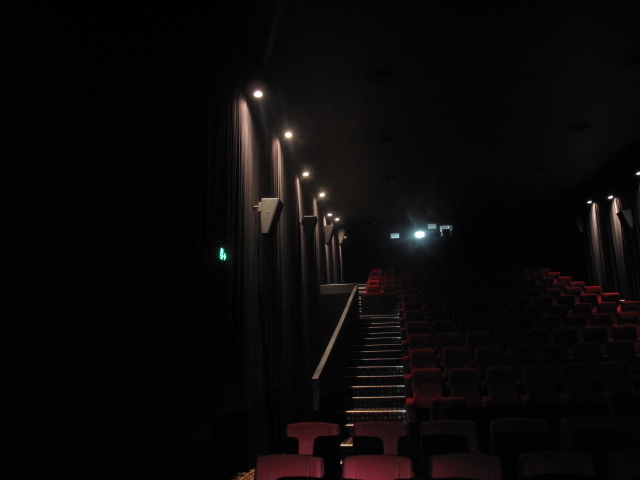 We installed Harkness 3D silver cinema screens into four of the auditoriums. We cleaned two existing perlux cinema screens, which came up “as new”, as they had not been cleaned for many years. We were able to entirely clean all of the front-end tails and top maskings. 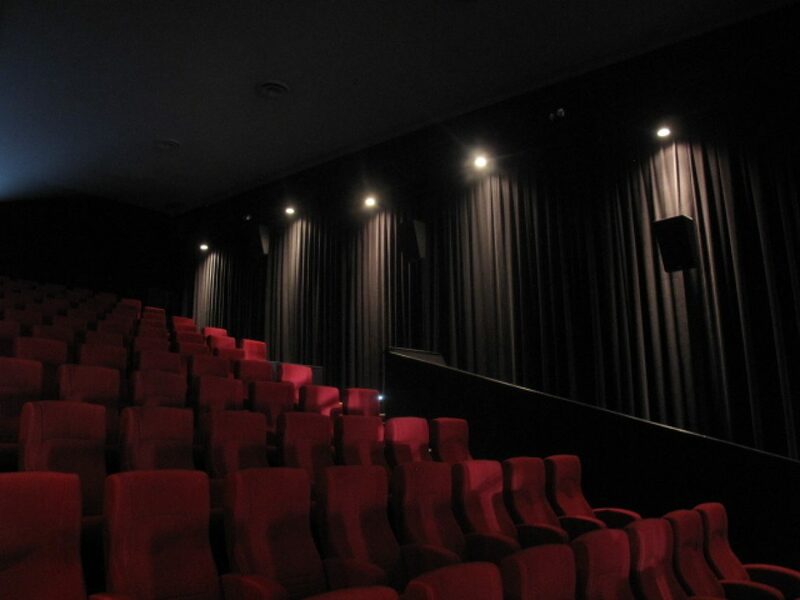 Specialty Cinema also installed new QSC surround speakers. The end result was amazing, giving this old run down girl a new lease on life and the prospect of improved trading over the busy Christmas/New Year period and beyond.